“A rose by any other name would smell as sweet.” So why not use the first part of this famous line from Shakespeare’s Romeo and Juliet as the actual title of this article? Answer: Because the beast is none other than the infamous Antichrist; and it’s too much of a spiritual and moral compromise to metaphorically equate this evil man to a rose … for that matter even to a weed! If you were asked to designate the Antichrist by another Biblical alias or term, would you be able to pick one, or two, or four? Although the label Antichrist is known all over the world, including hundreds of millions of unbelievers, I would dare say that even many believers would be hard-pressed to come up with three or more of these Biblical names, other than the most familiar one … Antichrist. Another question: Does it really make a difference what name we use to identify this notorious man? It all depends on how much we truly want to know what Scripture wants us to know. If we merely want to refer to him as the one who will be an (the) anti-Christ and a counterfeit Messiah during the Great Tribulation, then Antichrist will do just fine. But if we really wish to understand more than just the future of this terrible tyrant, if we are curious whether he has a past which also requires a present (tense) existence at one point in history; then we must carefully examine each of the Biblical names given to him. If, indeed, we actually desire to exercise the wisdom called for and needed (Revelation 13:18) in order to ascertain the accurate identity of this nefarious man, then we need to comprehend that different titles were given to him for that very purpose? Those who have read my book, Out of the Abyss … can the number of the Beast be solved, 666; as well as several prior Eye of Prophecy articles on this subject, already know that the Antichrist has been identified as the Roman Emperor, Nero. Furthermore, this astonishing conclusion is not based whatsoever on the Preterist view; because the Preterists erroneously contend that the book of Revelation, including the Tribulation period (which is most of the book), took place in the first century. That argument has been soundly refuted by astute Bible scholars for a number of reasons, not the least of which is because the Tribulation has not yet taken place. There’s simply no way to symbolically equate (what will be) the literal seal, trumpet, and bowl judgments of Revelation with first century events. What the Preterists completely missed, and what I (at one time) and many other students of prophecy have misunderstood is that the beast of Revelation had already lived and died BEFORE John was given the amazing revelation of the beast (Antichrist). Moreover, John was told that the beast would reappear from the Abyss! This extraordinary emergence would stun the world as most of those left behind after the Rapture would (logically) see Nero’s return from the grave as a supernatural event. “I saw that one of the heads of the beast seemed wounded beyond recovery—but the fatal wound was healed! The whole world marveled at this miracle and gave allegiance to the beast” (Revelation 13:3). In support of this incredible conclusion (as to his identity) I carefully examined EVERY Scripture passage that deals with this infamous man. Indeed, the main purpose for sharing this disclosure and discernment in Out of the Abyss and in some Eye of Prophecy articles is so that (before and particularly after the Rapture) many will not be amazed … as they will realize that this man’s identity had been decoded and declassified long ago. That his sensational return from the grave (actually the Abyss) had been planned by the Lord who will allow Nero’s release from the Abyss, which will delude billions into believing the lie that they want to believe in the first place. “So God will cause them to be greatly deceived, and they will believe these lies. Then they will be condemned for enjoying evil rather than believing the truth” (II Thessalonians 2:11-12). The purpose of this article and the next two articles is to expand this evidence, by explaining the contextual reasons for Scripture’s allusions to Antichrist with more than just one title. To realize that the Antichrist is not just a future tyrant—a perceived modern-day man born in the generation that will experience the Tribulation. Instead, to fully grasp that the diverse Biblical references to this despicable despot clearly demonstrate sequentially that he had a future, then a present, then a past, and then (will be given) another (brief) future (appearance) on this earth. These trilogy of articles will be a crash course that we might call: Names of Antichrist 101. Once again, because the vast majority of both unbelievers and believers know this wicked ruler as Antichrist, that will be the primary appellation employed throughout these articles. Ironically, however, the designation of Antichrist is the least used term for this man found in the Bible, and is not found at all in the two most end-times (tribulation) prophetic books of Scripture: Daniel and Revelation. The very first reference to Antichrist can be found in the book of Daniel: “Then in my vision that night, I saw a fourth beast—terrifying, dreadful, and very strong … It was different from any of the other beasts, and it had ten horns. As I was looking at the horns, suddenly another small horn appeared among them. Three of the first horns were torn out by the roots to make room for it. This little horn had eyes like human eyes and a mouth that was boasting arrogantly” (Daniel 7:7-8). If you recall the Babylonian King Nebuchadnezzar’s dream of the terrifying statue (Daniel Chapter 2), then Daniels’s vision of the four beasts, followed chronologically by the (now) historical emergence of the four (and only four) world empires depicted in these visions, then you know that the first three kingdoms are Babylon, Persia, and Greece. With the fourth most dreadful and mighty empire of all … the ancient Roman Empire. Later in this same chapter, Daniel tells us more about this little horn. “…This horn had seemed greater than the others (meaning the other ten horns of the fourth beast), and it had human eyes and a mouth that was boasting arrogantly. As I watched, this horn was waging war against God’s holy people and was defeating them, until the Ancient One—the Most High—came and judged in favor of his holy people. Then the time arrived for the holy people to take over the kingdom” (Daniel 7:20-22). This passage coupled with Revelation Chapter 13 shows distinctly that these things are taking place at the outset and then throughout the Great Tribulation. Daniel’s choice of a descriptive tag for this man, small horn with human eyes and a mouth that boasted arrogantly (then later just horn), conveys the following: (1) the term horn signifies authority and power, but when given human eyes and a boastful mouth, it specifically tells us that the predominate characteristics of this man is that of conceited boasting against God and God’s people, i.e. Jews and Christians Jews and Gentiles during the tribulation. (2) This is the same expressive language used by John in Revelation 13, which was his first vision of this man. “And he spoke terrible words of blasphemy against God, slandering his name and his temple—that is, those who live in heaven (meaning Christians who have been raptured just before the tribulation begins). 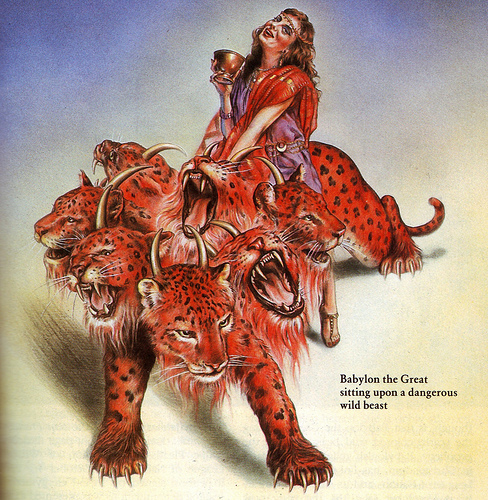 And the beast was allowed to wage war against God’s holy people and to conquer them…” (Revelation 13:6-7). What I have often said before bears repeating: Nowhere in Daniel 7 or Revelation 13 (or in any other Biblical passages about this man) do we read that he is a political, military, administrative, or economic genius that possesses charismatic statesmanship or oratorical skills that enable him to persuade people the world over. Instead, he is an arrogant, boastful tyrant who blasphemes God from the very beginning. Although both religious (from non-Christian religions) and irreligious unbelievers often attack (verbally and physically) Christians, seldom do they rant, rave, and rail against Almighty God, mostly out of fear and/or some measure of respect. But here we have a man who has “miraculously” reappeared from the grave that billions of people will believe to be God. Thus, they will have no problem endorsing his blasphemous boasts against the true and living God. In fact, most will join their self-appointed god and curse the real God despite knowing full well that he is the righteous and just God who is judging the earth. “…and they cursed the name of God, who had control over all these plagues. They did not repent of their sins and turn to God and give him glory” (Revelation 16:9). This first introduction to Antichrist shows us his true character from the very beginning of his reappearance … that he blows his own horn with an unholy, ungodly blast against the true and living God. There’s a reason for EVERY WORD found in Scripture; and the adverb suddenly is no exception. In fact it’s crucial in this particular text toward full realization that the horn (later called beast in Revelation) suddenly appears, unlike a leader already entrenched in an influential political, administrative, and/or military position. The contemporary portrayal of Antichrist as a modern-day man who, after the Rapture, will rise in prominence by asserting and expanding already established credentials—whether from within the United Nations, European Union, or some other high-profile national or international position—does not track at all with a swift unexpected arrival to a world already dazed by the removal of hundreds of millions from the earth. 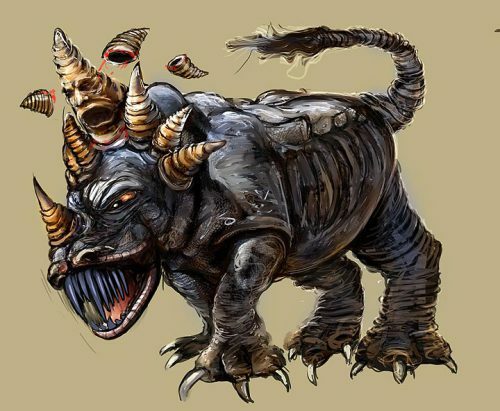 And certainly not with the little horn’s reappearance as the beast of Revelation who had already lived, died, but would return again after the Rapture. At Daniel’s request, “one of those standing beside the throne” explained to Daniel the meaning of his vision including, “…This fourth beast is the fourth world power that will rule the earth … Its ten horns are ten kings … Then another king will arise, different from the other ten, who will subdue three of them. He will defy the Most High and oppress the holy people of the Most High… (Daniel 7:23-25). To confirm that the small horn who seemed greater than the other horns would be a powerful figure to whom the other ten kings would yield their allegiance and kingdoms, Daniel is told that this man would, in fact, be a king … a second title assigned to the Antichrist. But this king would be different from the other ten. If you do a complete study of Antichrist (as is done in Out of the Abyss) it’s clear what makes this eleventh king in Daniel 7 totally unlike the other ten. Two things stand out: One is his origin; the other is found in the very meaning of different. (1) He is a king directly from the fourth world empire of Rome. Please remember: Because some 2000 years have elapsed, we (for that obvious reason) classify this fourth kingdom in Daniel as the ancient Roman Empire. But when Daniel recorded this vision, it was equally obvious that this fourth (along with the 2nd & 3rd kingdoms of Persia and Greece) kingdom was a future empire which (historically) would emerge some five hundred years later. Essentially, these ten tribulation kings are extensions of the fourth beast (the ten toes of Nebuchadnezzar’s statue); not a separate beast or kingdom … meaning not a so-called Revived Roman Empire; because there are four and only four world empires seen by Daniel. What makes the tribulation alliance between the Antichrist and the ten kings a weakened extension of the fourth world empire is the Antichrist himself. More specifically it is who and what the Antichrist is, and when and where the Antichrist originates that connects the tribulation coalition with the fourth world empire. It is the fact that the king (Antichrist) is a Revived Roman Emperor! Especially as utilized in the context (of Daniel 7), the word itself is too strong to suggest an intrinsic variation, such as being a more polished, captivating, charismatic, or powerful leader … Different denotes difference, in all that the word means and implies. That my friend is “different,” and it yields a comprehensive, composite explanation of the fundamental contrast between Antichrist and the ten kings … What specifically is that difference? I’m glad you asked! The one thing that makes Antichrist different from the other ten kings is that he is a living miracle, and they are not. He has arisen from the underworld, and they have not. The ten kings have a birth certificate, but the Antichrist does not. Nor will anyone, including crime scene forensic investigators be able to prove that he had died a short time before he arose, as there will be no autopsy or death certificate; nor any fingerprint records or dental records, nor any evidence of a crime scene, nor a coroner’s report, nor a coffin or a grave. We must remember the shocking fact announced by the angelic messenger: Antichrist died before John received the Revelation of Jesus Christ. Therefore, his initial sudden appearance to a Post-Rapture world will be from the dead, which makes him dramatically different from the ten kings. There’s no way the beast can or will be born during the generation that experiences the Day of the Lord. (Out of the Abyss, pages 185-186). For sake of time/space in this article, will simply say that Antichrist is again referred to as a king in this passage, specifically, the King of the North; but also with unmistakable reference to many of the Great Tribulation exploits of this king, some of which are similar to the initial prototype of Antichrist—which is the 2nd century BC Greek-Syrian ruler, Antiochus IV. Revelation 13 is the first disclosure of the Beast, but without any reference to the (Antichrist) beast being a king, because the primary emphasis is that of the beast recovering from a deadly wound (rising from the grave) and the subsequent challenge for all readers of Revelation to (with wisdom and understanding) solve the meaning of the number of the beast. Which is tantamount to identifying exactly who the Beast is, when combined with more biographical and historical evidence presented in Chapter 17. Said the angel to John after John had witnessed this amazing beast upon which sat a woman (later identified as “the great city that rules over the kings of the world”): “Why are you so amazed? I will tell you the mystery of the woman and of the beast with seven heads and ten horns on which she sits. The beast you saw was once alive but isn’t now…” (Revelation 17:8, italics for emphasis). The angel continues: “This calls for a mind with understanding: The seven heads of the beast represent the seven hills where the woman rules. (Rome) They also represent seven kings. Five kings have already fallen, the sixth now reigns, and the seventh is yet to come, but his reign will be brief. The scarlet beast that was, but is no longer, is the eighth king. He is like the other seven … The ten horns of the beast are ten kings who have not yet risen to power. They will be appointed to their kingdoms for one brief moment to reign with the beast. They will all agree to give him their power and authority” (Revelation 17:9-13). Ek which also means one of, out of, or from is the Greek word used to tell us that this eighth king is (also) one of the seven; which, by default, means that he is one of the five who had already died because twice the angel told John that the beast once was, but is no longer (alive). Did you catch that? Can it be any clearer that the first half of Revelation 17, through verse 11, provides a PAST TENSE biography of this beast-king? That is simply amazing and refits the prophetic puzzle with the correct piece that identifies the Antichrist. Thus, the emphasis shifts from symbolic imagery of a beast seen by John on a Sunday on the Island of Patmos in the first century; to the angel’s explanation of this stunning vision of a beast with seven heads being seven kings; which, by the present-day (in the 1st century) context of this vision, were five former (now dead) Roman Caesars, one currently reigning, and one to come whose reign would be brief. In Out of the Abyss, I explain how all that works. And with ten horns, who the angel said were ten kings not yet appointed to their kingdoms, which discernibly refers to ten leaders and their nations during the Tribulation. The ten kings that yield their kingdoms (nations) to the eighth king (Antichrist) will be specifically identified only after the Rapture; however, I’m convinced that these nations are in existence today. And it may surprise you that I’m equally convinced the United States of America is one of those nations, specifically one of the three that will be “subdued” by the (antichrist) king depicted by Daniel. But that’s another article for another day! Once again, please refer to Out of the Abyss for several reasons why the seven kings of Revelation 17 are, in fact, kings and not kingdoms (as most modern scholars have classified them), not the least of which is the very Greek words used for kings and kingdoms. But also how and why the sequence of seven kings can and does fit three different historical options. The reason there are three options or possibilities depends upon when the book of Revelation was written and by whom. Yet, all three alternatives allow for the seven kings mentioned in this chapter to have reigned sequentially as clearly explained by the angel to John … five have fallen, one reigns, and the seventh’s reign will be brief. When the book of Revelation was written and copies distributed throughout the Roman Empire, it’s inconceivable that the 1st century Christians wouldn’t have known the sequence and identity of the seven Roman Caesars (kings) mentioned by the angel to John. But when we look back 2000 years and now see that there were (historical hindsight) three pseudo-Emperors during the approximately 18 month civil war upheaval in which none of these three (Galba, Otho, and Vitellius) were really bona fide emperors, we have three options to choose from with regard to the historical chronological sequence of the seven kings. See Chapter 17 of Out of the Abyss, because space does not permit in this article; but any one of the three scenarios can thread seamlessly through the angel’s clarification of the seven kings. In slight contrast to the more generic term ruler which we will cover next week in Daniel Chapter 9, the title-specific designation of king for the Antichrist indicates that he would be a sovereign monarch (in Roman times, an Emperor) who would also rule over other kings. In the ancient world that would have been kings of conquered nations that became part of the Roman Empire. 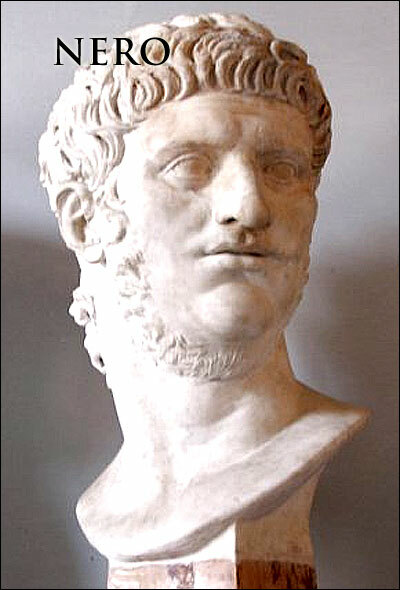 In fact, Nero was so fond of one of these subjugated kingdoms (Greece) that he wrote and performed several dramatic plays in the Greek language. During the tribulation, it will be exactly ten kings and their nations. Ancient world: Emperors or Kings. Modern world: Presidents or Prime Ministers. All prophetically identified as kings. Incredibly, history unfolded Daniel’s future horn and king into a man portrayed as a beast-king by John, who subsequently lived and died … a prophesied past tense biography of the Antichrist (Nero, who died a few years before Revelation was written and whose name spelled out in Hebrew equals six hundred and sixty-six). But it doesn’t stop there. Revelation 17 also tells us that this same real-life king (Roman Caesar) symbolized first as a beast in John’s vision, would rule over the ten kings which are exclusively (in Daniel and Revelation) future tribulation kings! Thus, the Antichrist king of Daniel 7, Daniel 11, and Revelation 17 is not and cannot be a modern man born in the generation of the Great Tribulation. Why? Because part of the angel’s unveiling of the mysterious beast in Revelation 17 is that the beast had already lived and died. Which, of course, means that he had already established a (dubious) legacy as one of the five kings who had fallen, but would amazingly return as the eighth king who was the composite scarlet beast itself. The title for Antichrist of king is used in connection to the ten king/kingdom confederation that will serve him during the tribulation; but it also makes a phenomenal connection of this same tribulation king to an actual king that had lived and died (shortly) before John was given the spectacular visions as recorded in the book of Revelation. Which, in turn, further unseals the mysterious visions of Daniel that match those seen by John. 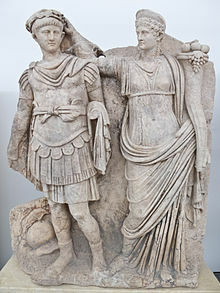 This “miraculous” (as explained in Out of the Abyss, Nero’s revival and emergence from the Abyss is orchestrated and allowed by God) return from the grave is the one thing that will captivate the world’s attention and deceive them into believing that a Revived Roman Emperor is a god … even the true God. Not until John the Apostle wrote his first epistle, is the alias Antichrist used in Scripture; which is the last or next-to-last title given to this despot. Yet, Daniel, Paul, and the author of Revelation all paint a vivid portrait of this man; employing various names that, if studied carefully and placed in the context of the future tense prophecies AND past tense fulfillment, help us to understand that this man was already Antichrist before he would return to wreak havoc on the earth as the beast-king during the Great Tribulation. In next week’s article we will see that Daniel then refers to him as a ruler (a non-specific generic designation) who would arise in a specific chronological sequence after Messiah came to earth and was crucified. That this ruler’s armies destroyed Jerusalem and the Temple which happened in 70 AD. That this ruler is indisputably directly connected to the armies (Roman legions) that destroyed the Temple. If we think of and refer only to the title of Antichrist (as the end-times tyrant of the Tribulation period), we think only in terms of a modern-day man and his rise to power; which is logical in terms of a more natural and normal rise to power of a contemporary figure. But inaccurate when we carefully examine the (now historical) PAST TENSE existence of this man, as profoundly, but plainly presented in these passages from Daniel and Revelation. And the PRESENT TENSE description of Antichrist through the Apostle Paul’s reference to the man of lawlessness, just a few short years before Nero assumed the throne as Rome’s fifth emperor. This will also be discussed in next week’s article. Stay tuned! The third and final article in this series will examine the 5th and 6th aliases assigned to this man … Antichrist and the Beast.